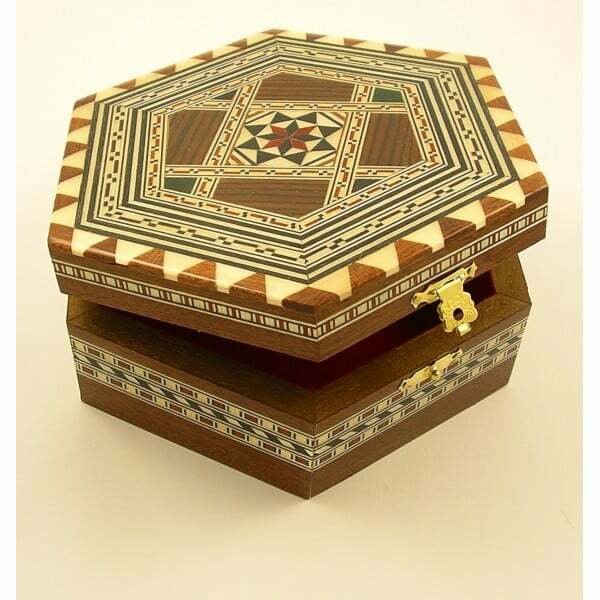 This beautiful and unique hexagonal shape Jewellery Box is a combination of inlaid Mahogany, Lemon tree, Walnut, Cedar, and Ebony woods. 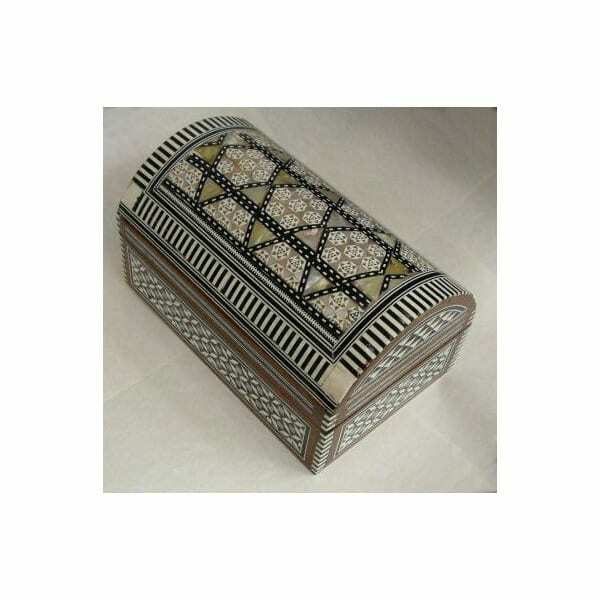 The marquetry work on this box is exceptional and is in perfect condition – new, not pre-owned. 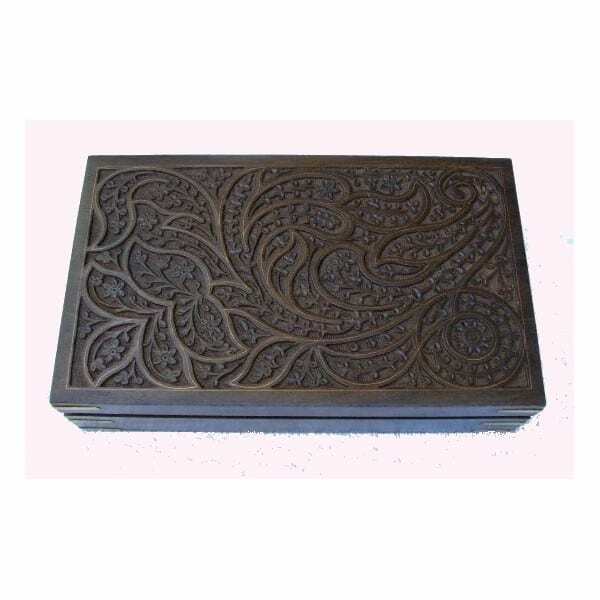 The interior has been covered in red velvet and the whole box has been varnished giving it a luxury feeling. 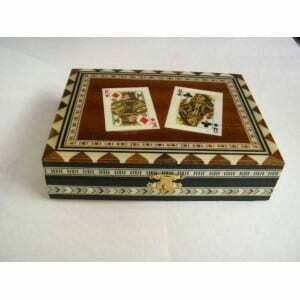 It is a really lovely and well made box.